Bit Exchange: What is Bitcoin Mixer script? Where can you get a good one? What is Bitcoin Mixer script? Where can you get a good one? One of the prime feature of Cryptocurrencies was the anonymity it provided for it's holder. Earlier, anyone could buy a cryptocurrency without being asked for their details. This has changed in the recent times and there are tools that could track the movement of these coins and trace them back to the owner. That's where a Bitcoin Mixer script come in (also known as Bitcoin Tumbler script). What is Bitcoin Mixing or Bitcoin Tumbling? Bitcoin Mixing is based on the concept of CoinJoin, a coin anonymization strategy where transactions from multiple users are combined together as a single transaction and processed into smaller transactions with a new cryptographic hash (new identity). Each coin is associated with a hash and the byte size of the coin, they can be recognised easily by potential criminals. People who are tracking these coins would use these information to track the coin. Bitcoin Mixing is the process by which the coins from one wallet are split up into smaller quantities and sent to multiple (two or more) cryptocurrency wallets to make it hard to trace for privacy reasons. People use third party bitcoin mixer services to carry out the process which enables anonymity. 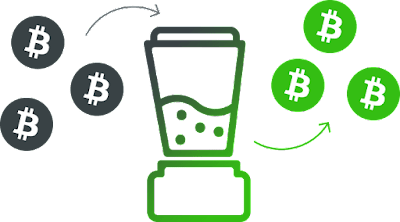 You can even start your own Bitcoin mixer or bitcoin tumbling service by building one yourself or using a bitcoin mixer script that can help others to tumble their bitcoins. How can you make money by running a Bitcoin Mixer script based service? Most services that are already there take between 1.5% to 5% tumbling fee for every tumbling done. Similarly you could price every transaction done in that bracket. This would ensure that you provide a competitive and healthy service to your customers. The important factor that most service forget about cryptocurrency based services is that very less people trust it, providing a good transparent service will rake in more customers and business over a period of time. Whether you are setting out to build one or setting up a ready made bitcoin mixing script, these are the features you would need to look out for. Secure & maintain anonymity - The bitcoin mixer script has to secure each transaction with high grade encryption. All the wallet and ledger data that is present with the Mixer service should be encrypted and all the best practises have to be followed to main the anonymity of the user. Smart Tumbler algorithm- The tumbler algorithm written for this purpose should be efficient and should incorporate practises such as time delay, variable quantity and random match etc. Randomizer - The algorithm should ensure that in the first instance the coins should be sent to another users wallet and later from the other users wallet to the user's second or third wallet. Extendability: Has Robust API layer for building mobile apps and other possible integration into services. Easy to use Interface - An Intuitive self explanatory User Interface is a must as most of the users may not be comfortable with a complex User interface. Auto-Prune - Periodical deletion of the transaction details to maintain anonymity or privacy of users. Where can you get the best Bitcoin Mixer Script? JoinMarket has an Open source bitcoin tumbler script that allows users to safely tumble their bitcons anonymously. Joinmarket's script is a popular option for running a bitcoin mixer service where people further customise it to their liking and make it business ready. The open source bitcoin tumbler script Penguin Mixer is hosted in the darknet and you'd need a tor browser to visit the site (or use tor2web extension to visit and download). There are a lot of services that have been built using the penguin mixer script and it has been around for a while. OpenTumble's cryptocurrency tumbler script makes it easy to run a central or your own decentralized coin mixing service. According to the makers of the project, they want it to be of great value to those in countries where it is banned and could potentially threaten them. CoinMux is another decentralized bitcoin mixing script that is still under development and not be production ready yet, but we thought it would be a great product to look forward to. Disclaimer: All the information provided above are for reference only. We do not endorse any of the products mentioned above. Please make an informed decision before using any of these services.